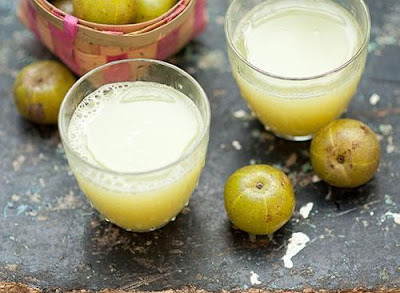 Amla, or Indian gooseberry, is a sour fruit native to India. High in antioxidants, it is prescribed by Ayurvedic doctors for glowing skin and hair; in some preliminary Western studies, amla has been shown to reverse diabetes and cholesterol markers. How to Enjoy It: You can buy frozen amla berries online. Defrost the berries, cut into small pieces and run through a juicer. Speaking of blended drinks, melt fat with each sip by making the The Best Weight-Loss Smoothie Ever, from the new book Zero Belly Diet.